Pending Home Sales for Lake Arrowhead for the week ending December 11, 2011 ~ Where is the month going? We had a pretty active week last week for homes that went pending in escrow last week. Ten homes in Lake Arrowhead went pending, including 2 Lakefront homes in Lake Arrowhead. The following chart shows which homes went in to escrow this past week. The information was obtained from RIM of the World AOR. Information is deemed reliable but not guaranteed. 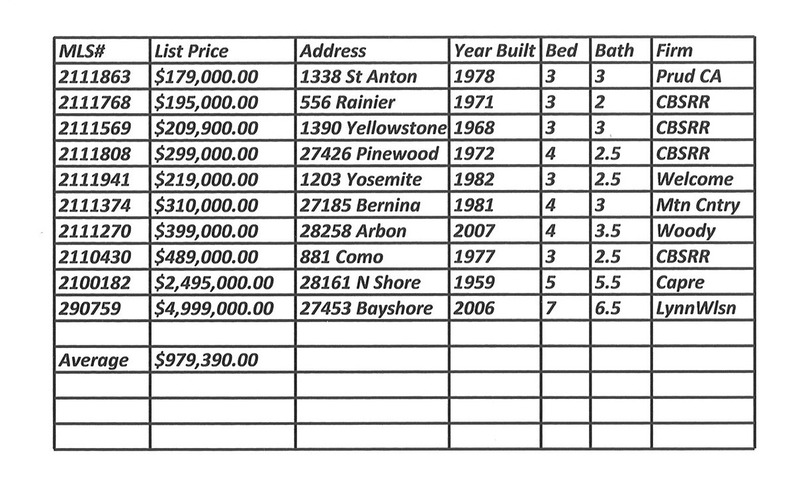 If you have questions on any of these homes or would like real estate information for our area please let us know. I like this blog so much, I bookmarked it.